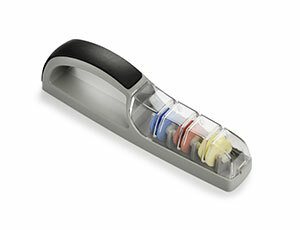 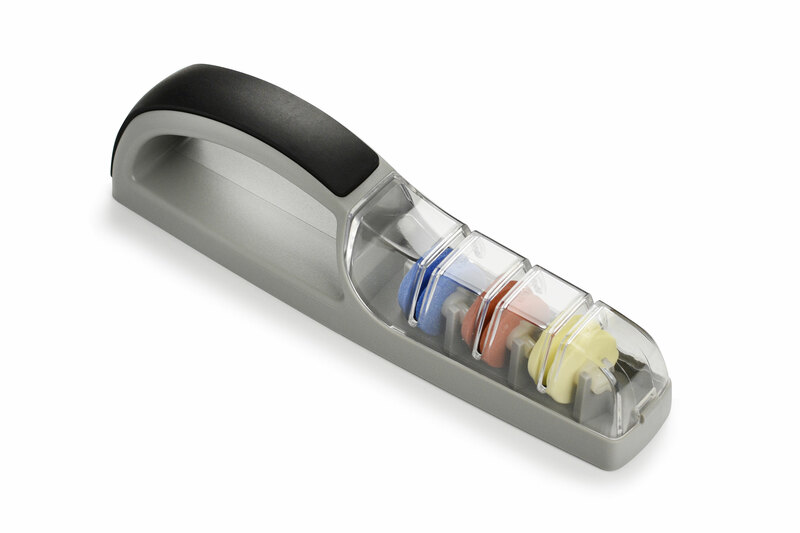 The 3-stage MinoSharp III Ceramic Water Stone Sharpener is our newest and most advanced model. 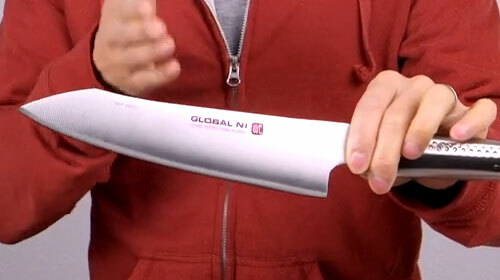 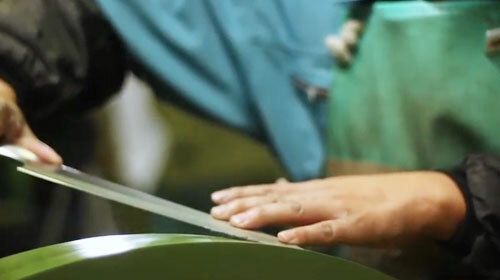 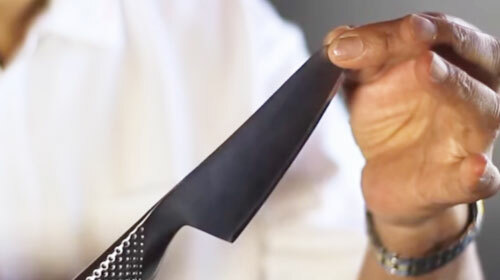 It has 3 sharpening wheels, one rough, one medium and one superfine. 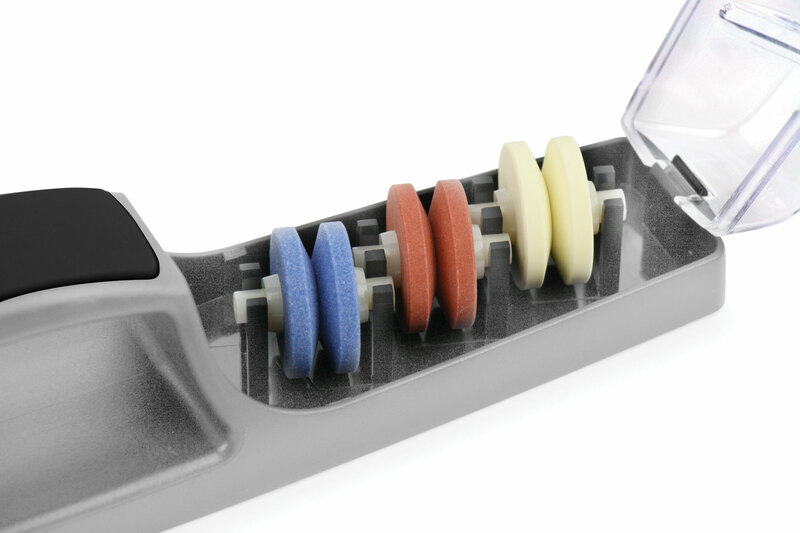 However, on the MinoSharp 3, the rough wheel is much rougher than the rough wheels on the MinoSharp and MinoSharp Plus and is, therefore, much stronger. If you have ignored your knives for years and they cut more like a butter knife than a kitchen knife, we strongly recommend this sharpener. 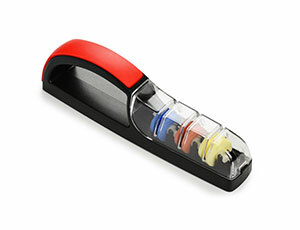 This sharpener also has the added benefit of a superfine sharpening wheel which allows you to polish your edges as a final step and make them even sharper.